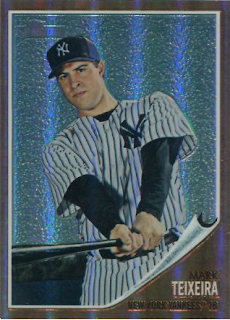 Normally when collectors try to obtain rainbows, a complete set of all the parallels of one card, they concentrate on releases like Bowman Baseball, Topps Chrome or Topps Finest that contain a large number of colored and patterned parallels and refractors. 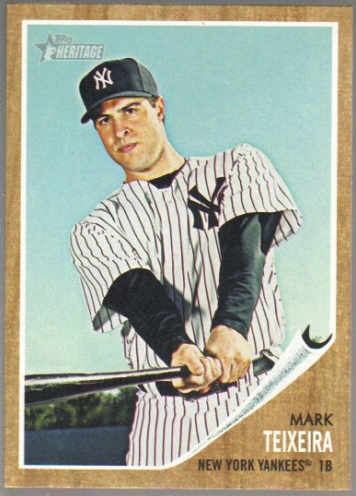 If you follow this blog you know I’ve done a lot of posts on 2011 Topps Heritage Baseball Cards, a set of cards that was based on the 1962 release of Topps Baseball. 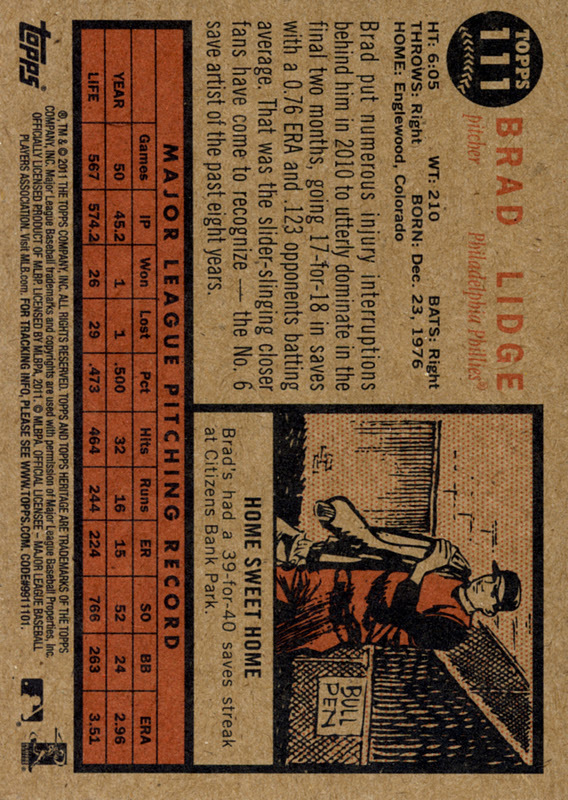 That original 1962 release had plenty of errors and printing mishaps. 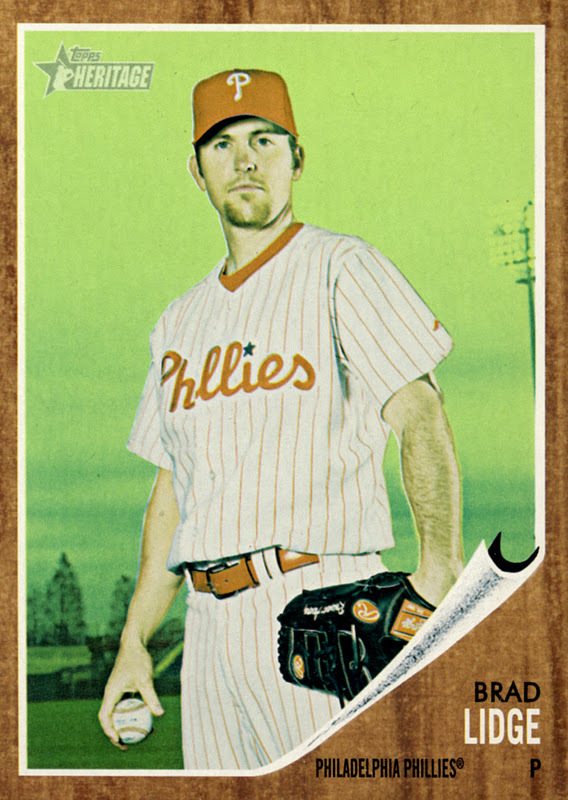 The current design team really captured the feel of that set for the 2011 release of Heritage, making it a fun set of cards to collect. 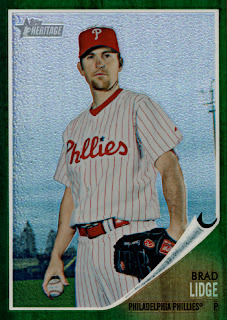 2011 Topps Heritage Baseball has green tinted cards just like those in the 1962 release for cards numbered 110-158 and 160 -196. 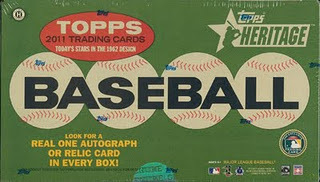 The green tints were also paralleled in a red tint for packs found at Target and blue tint for packs found at Walmart. 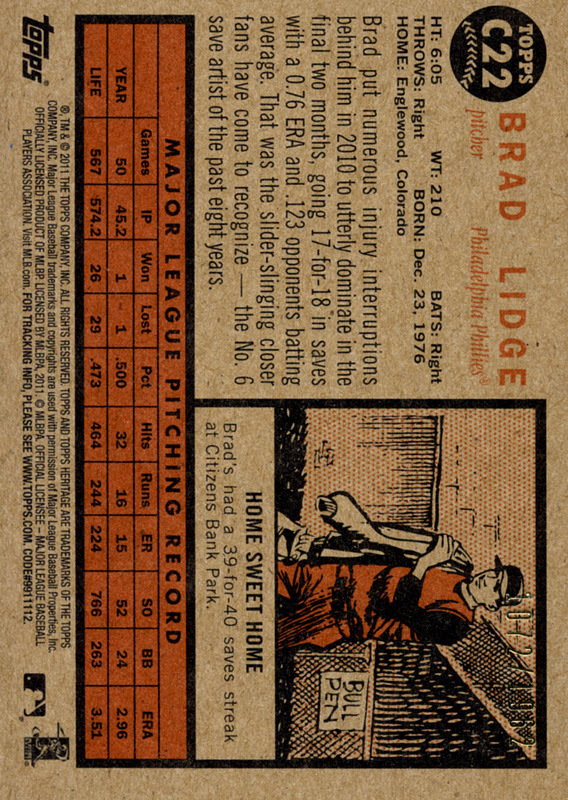 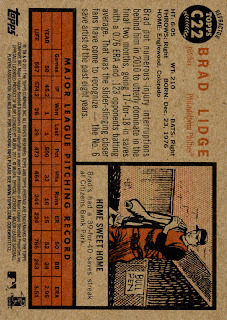 Then there is a set of 100 Chrome cards, numbered to 1962, based on various cards from the entire 500-card set. 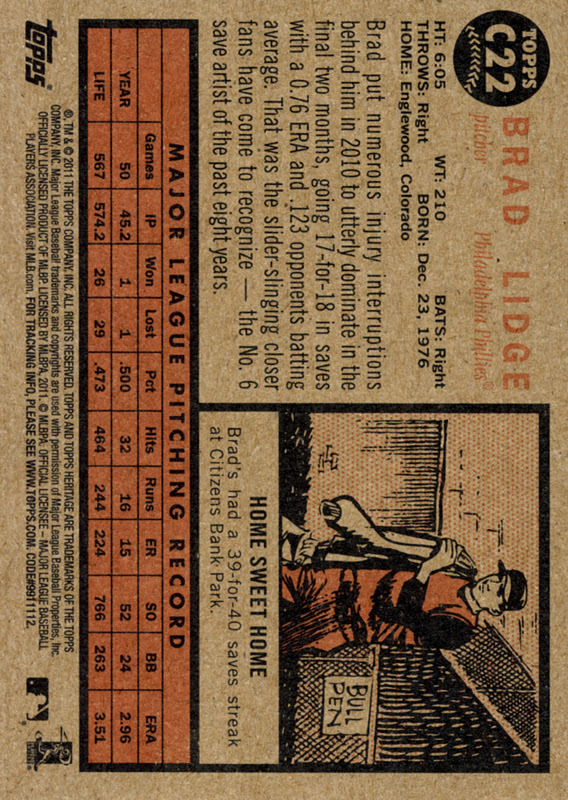 These were also paralleled as refractors, green refractors, black border refractors and regular black-bordered cards found in 3 pack blisters. 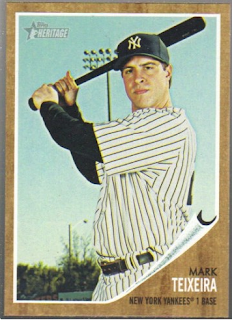 Separately, there really wasn’t much to collect as a run of parallels, 4 cards for the base and tints, 5 cards for the chromes. But I did notice there was a small number of tint cards that also came in chrome versions. 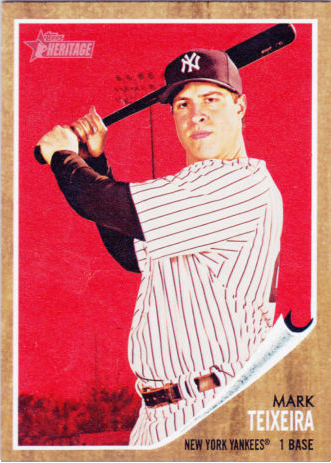 While the numbering is different in their tint and chrome versions, every other element of these cards is identical. 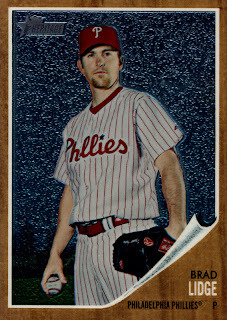 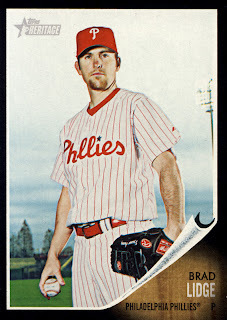 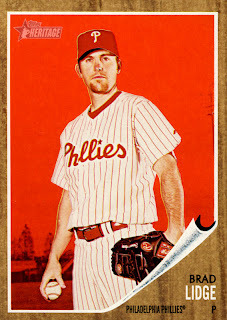 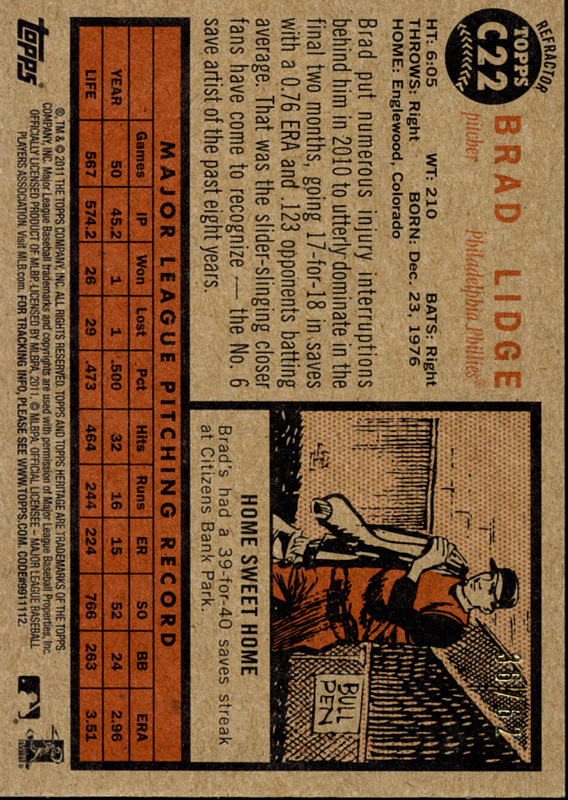 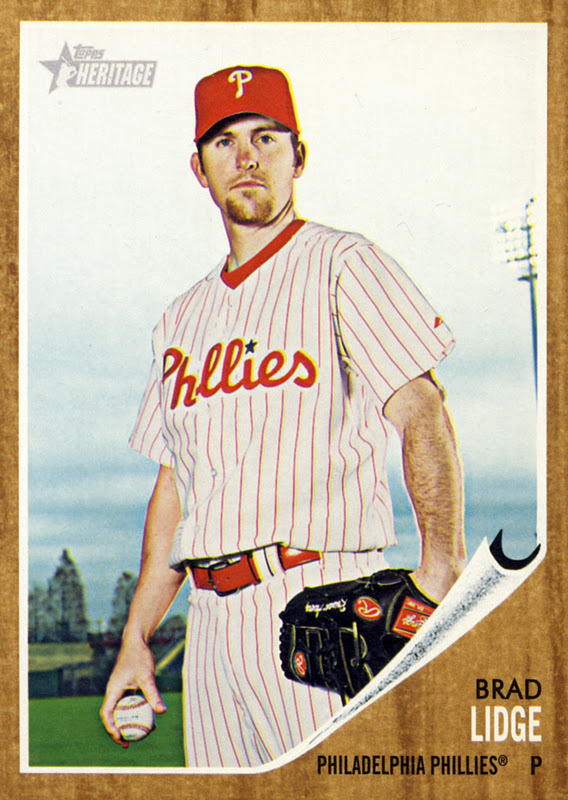 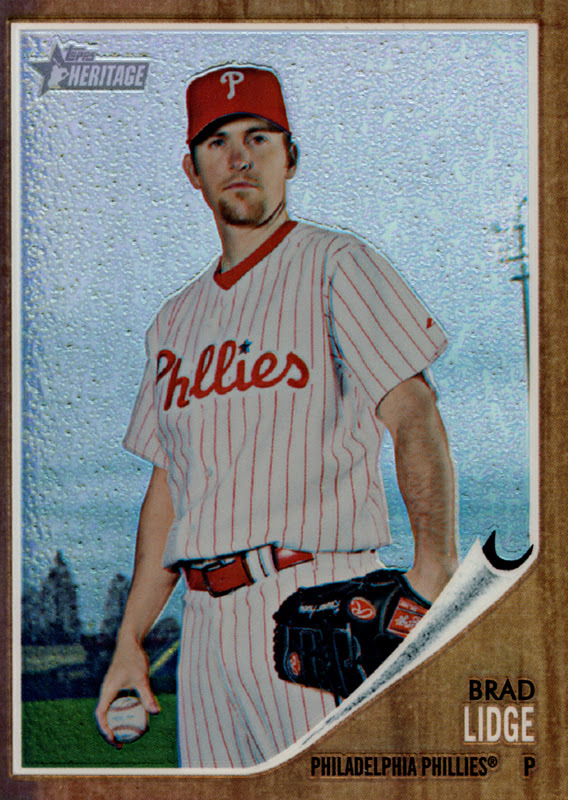 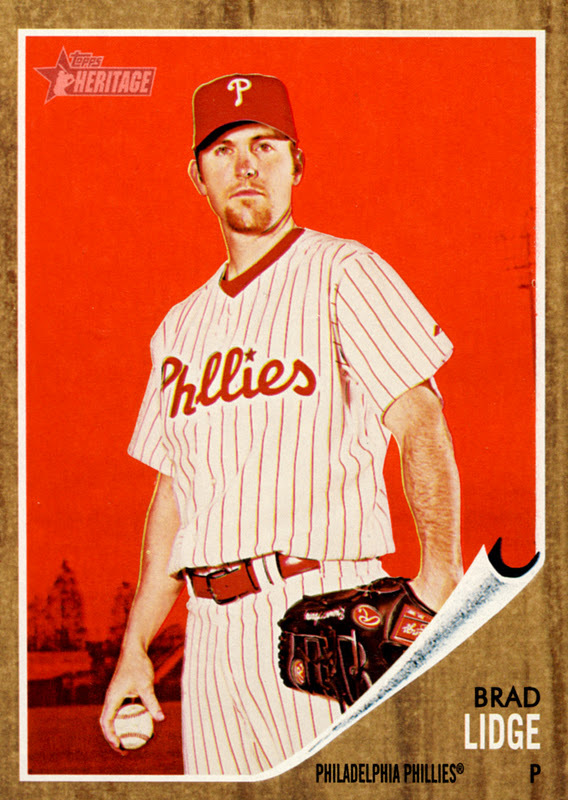 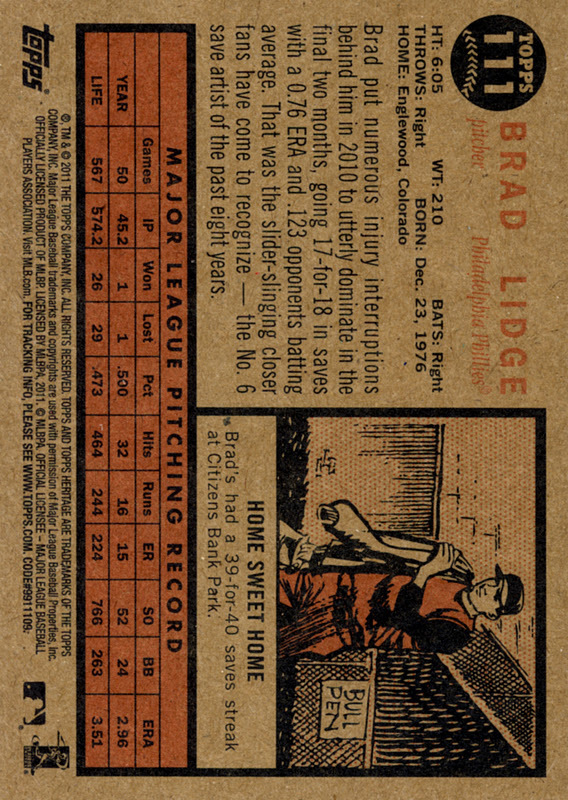 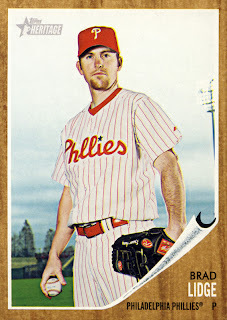 So here is a different kind of rainbow, the 9 card 2011 Topps Heritage Baseball rainbow of Brad Lidge, front and back. I mentioned there are only a small number of cards, 13 of them, which will work. Here is the complete list. and his chrome and black border cards use his base card #400. 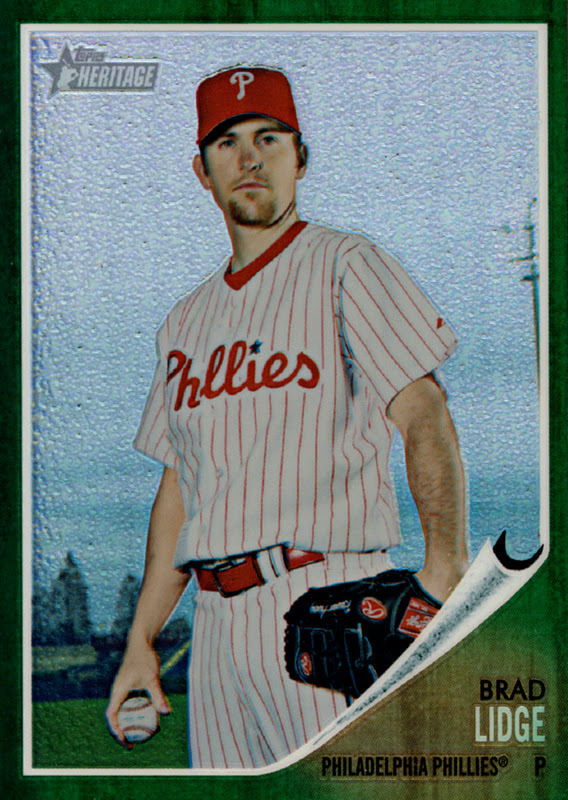 In the next few weeks, I’ll be sharing with you another rainbow, one that spans different releases. Perhaps we should call it an Uber Rainbow.